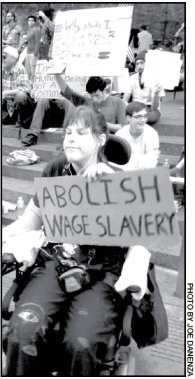 The “Occupy” movement with a disability slant . . . a heavy disability slant. Organizer Marg Hall analyzes current events happening almost literally on our back yards. Stephanie Miyashiro talks about sitting mere yards in front of police lines, in her wheelchair, right before the tear gas canisters went off. And Jassamin Khashbecht, who lives with low vision, reports on her experience during the Nov 3 Occupy Oakland Strike. 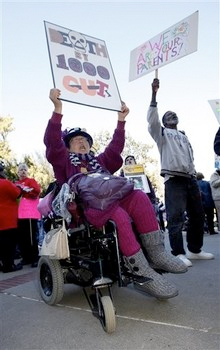 Both Marg Hall and Stephanie Miyashiro are members of the direct action disability group CUIDO, Communities United in Defense of Olmstead. Co-hosted by Eddie Ytuarte and Leah Gardner. Disabled in Action joins the protest in Zucotti Park. Article by By Emily Keller of ABLE. 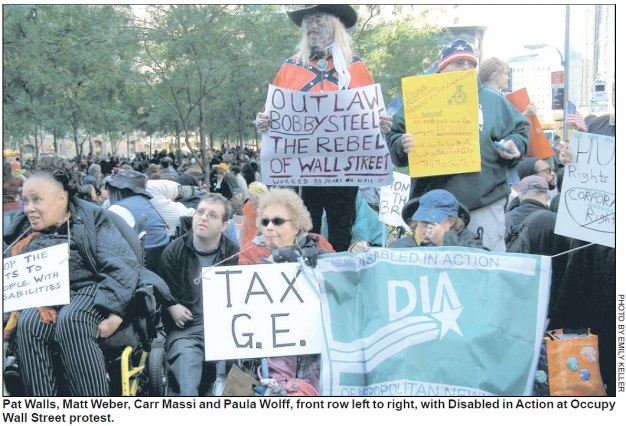 Members and supporters of Disabled in Action (DIA) joined the Occupy Wall Street movement, gathering at Zuccotti Park in lower Manhattan on Oct. 16. Pat Walls, who attended the event with her husband Phillip Walls, said Occupy Wall Street reminds her of her college days as she spoke out against government service cuts. “Specifically, I am really afraid of the cuts to home care services because I am really dependent on my home attendant. Walls also criticized a new limit for physical and occupational therapy to twenty visits a year, which restricts her ability to receive care for her leg problems. Phillip Walls said he attended to simply call for more housing and jobs. “We need jobs, so we have to find ways to make jobs. I like Obama but whoever is in there, we need both sides to help us,” he said. Julie Maury said she was there to protest “the wrong allocation of money” for people with disabilities. “All the money goes into nursing homes and not enough goes into our homes,” she said. 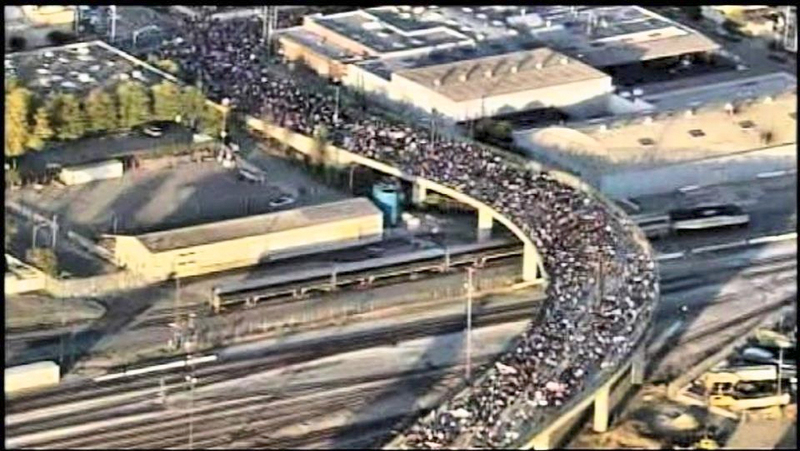 “I think I was waiting for this forever, just the rising up against the status quo,” said Maury. She also came for “the feeling of community that everyone who is marginalized, we’re all in the same boat, we’re all in the same family. “I support restoring the highest marginal income tax rate to the level that it was in the greatest expansion of our nation’s history – the late 40s through the early 70s,” Weber said. Henry Funez, a high school special education teacher, criticized the recent layoff of city school aides, some of whom assisted students with disabilities to board buses, use the bathroom and perform other tasks. “If they truly knew what these aides did on a daily basis, they wouldn’t have fired them,” he said. 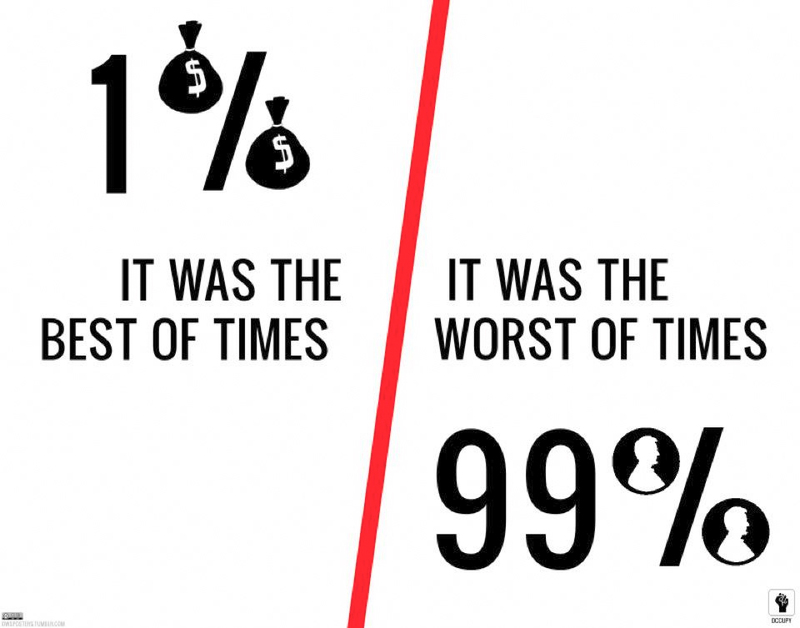 Occupy Wall Street began in lower Manhattan on Sept. 17. It has since spread to hundreds of cities around the country and the globe. This entry was posted in Community, Eddie Ytuarte, Leah Gardner, Protest and tagged Marg hall, Stephanie Miyashiro. Bookmark the permalink.